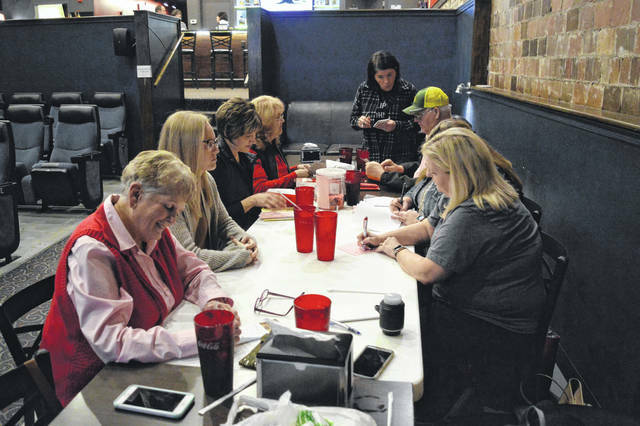 The Gallia County Junior Fair Relocation Committee gathers in the Colony Club in Gallipolis, Wednesday evening, to discuss upcoming plans for a Not-So-Newlyweds Game Night and event to take place Feb. 23, featuring music, food and silent auctions. All proceeds go back to the fair relocation project. An upcoming article with more information will be featured in future Ohio Valley Publishing publications.